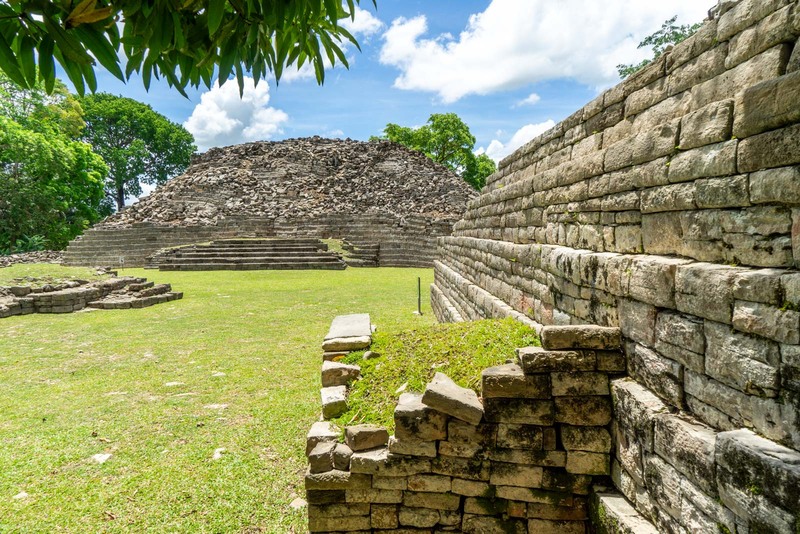 It was at this ancient Maya city in Belize that the most famous ‘Crystal Skull’ in the world is said to have been found. So what did I discover when I went? Do you remember the latest Indiana Jones movie? You know, the one with the crystal skulls? Don’t worry if you don’t. You would be forgiven for trying to erase it from your memory – it was pretty terrible! But, let’s not think about its cinematic quality for a moment and focus on what it was about – crystal skulls, the mythical items that have been the source of so many legends. 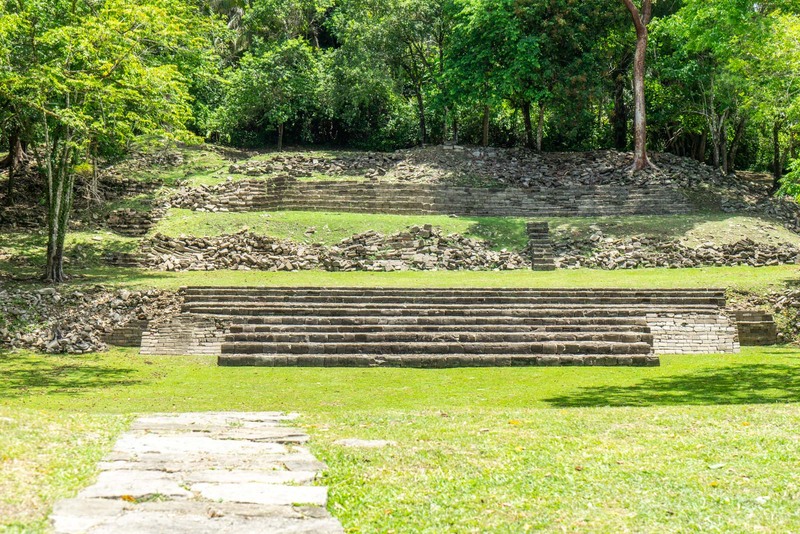 Because I’m about to take you to Lubaantun in Belize, where the most famous of them all was said to be found. But first, what are crystal skulls? Everyone will agree that they are large carvings of skulls that are made from a clear (or slightly milky) quartz. But, beyond that, it all depends on who you ask. The first explanation of the skulls is that they come from ancient civilisations in Central America that existed before Europeans arrived. 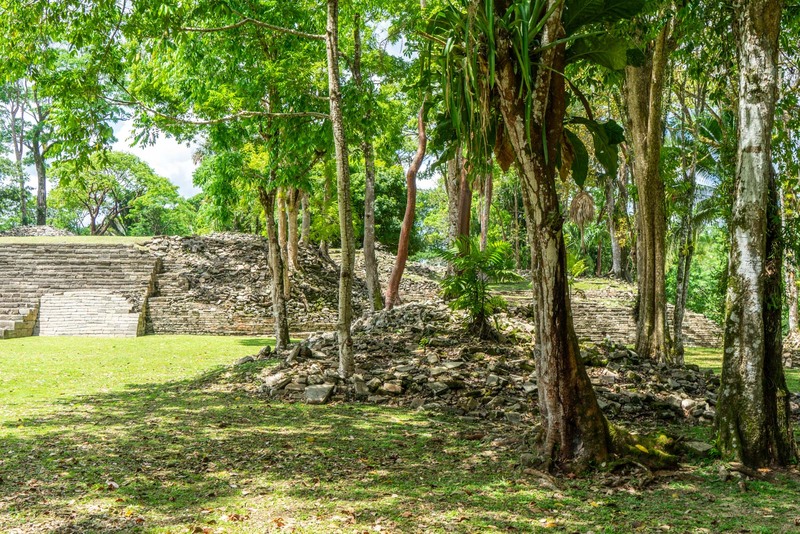 Most of them have been associated with Aztec or Maya sites – like here at Lubaantun – and were said to have mystical qualities. The second explanation is that these skulls are actually paranormal. Perhaps they were left by an intelligent race that had become extinct by the time humans evolved. Or perhaps they are the actual skulls of aliens who visited Earth in the past. They could be proof of extra-terrestrial life! That’s certainly the theory that was played out in the Indian Jones movie (spoiler alert!). But then there’s the explanation that they are all actually fake. And, sadly, this is the most likely option. It was only towards the end of the 1800s that all of these crystal skulls began to be shown to the public. The public interest in one seemed to bring more forth. They were treated with a degree of credibility and museums around Europe, including the British Museum in London, bought them for their collections. Although their origin could not be proved, they were interesting enough items to be displayed. In recent decades, though, new technology has allowed for more detailed research on the skulls… and it’s a bit disappointing. The first thing the research found was that jeweller’s equipment (that wasn’t invented until the 19th century) was used to make parts of the skulls. It was also determined that the quartz was a type only found in Madagascar and Brazil, which the ancient Central American civilisations would have been unable to obtain. I should also point out here that there was never evidence that the crystal skulls were found on archaeological digs, even though that was what was usually claimed. 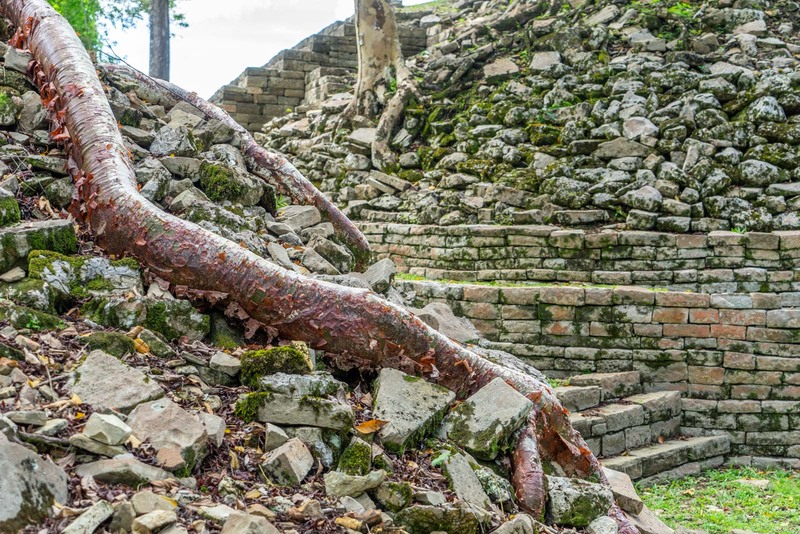 And that brings us back to Lubaantun in Belize. 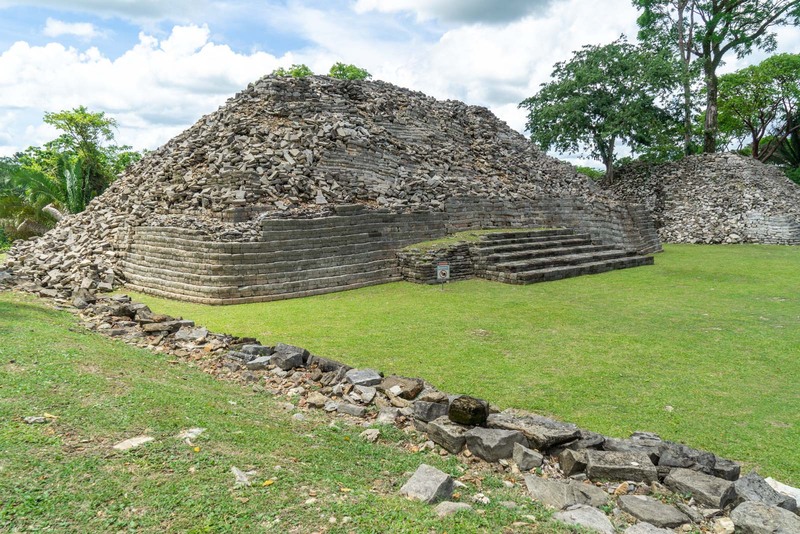 The archaeological site here is about an hour’s drive from Punta Gorda in the south of the country. 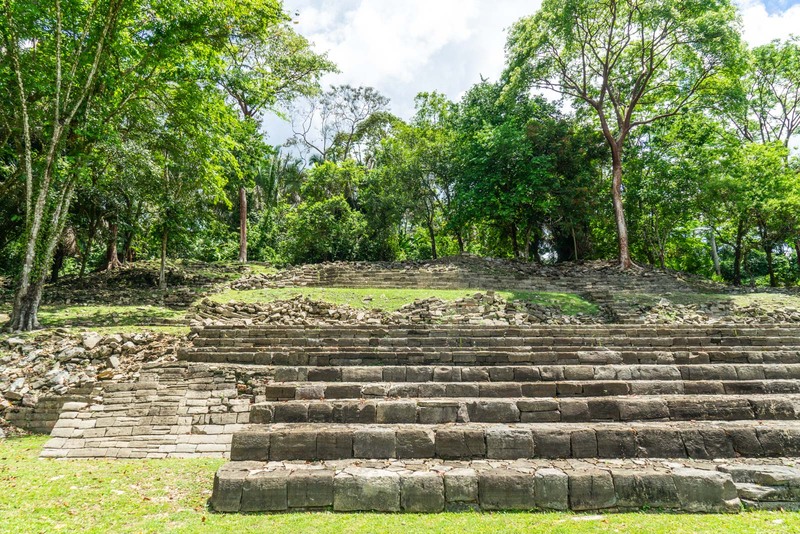 It’s a popular landmark for tourists theses days, although it’s never too crowded because tourist numbers are peacefully-low in this part of Belize. The site of the old city stretches out over a relatively large area. It doesn’t take too long to walk from one side to the other. But, as you explore each of the ruined buildings and climb up and down the steps, it can take an hour or more to see it all properly. It was here that a woman called Anna Mitchell-Hedges says she found her crystal skull in 1924. 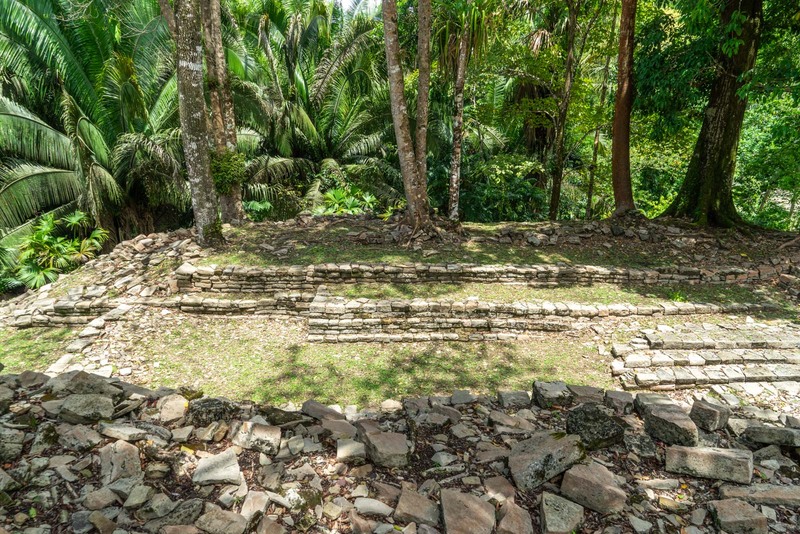 She says she discovered the skull under a collapsed altar inside a temple at Lubaantun when she was just a child, while her adopted father was working on an excavation here. She didn’t reveal it to the world until much later and, since then, it has become the subject of a lot of theory and research. There’s evidence the skull was owned by several other people before being sold to Mitchell-Hedges at auction in the 1940s. And scientific testing shows it was probably made using relatively-modern technology. It sort of ruins the whole story doesn’t it? 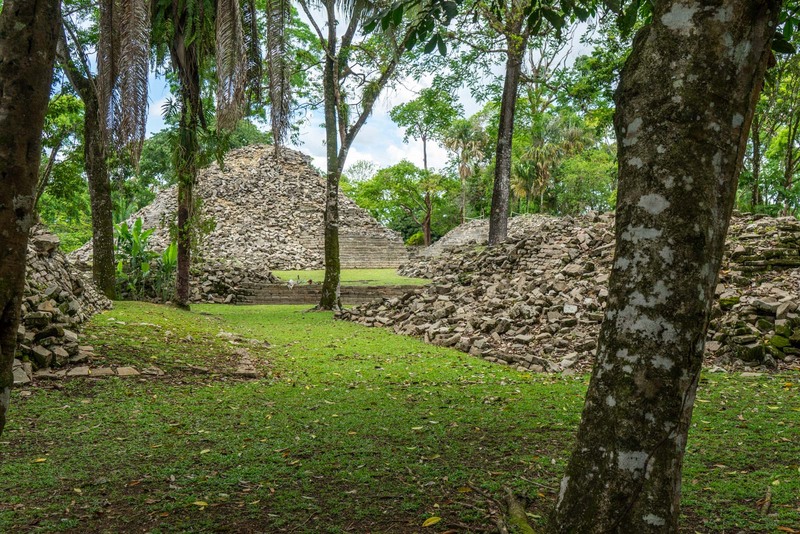 I am like many people over the past 150 years or so who like the idea of something mystical or paranormal being found at these Mesoamerican sites. It just seems to fit with what we think we know about these civilisations. Because, as I walk around Lubaantun with a guide and hear stories about the people who once lived here, I realise that it’s a fascinating place. What is at Lubaantun now? 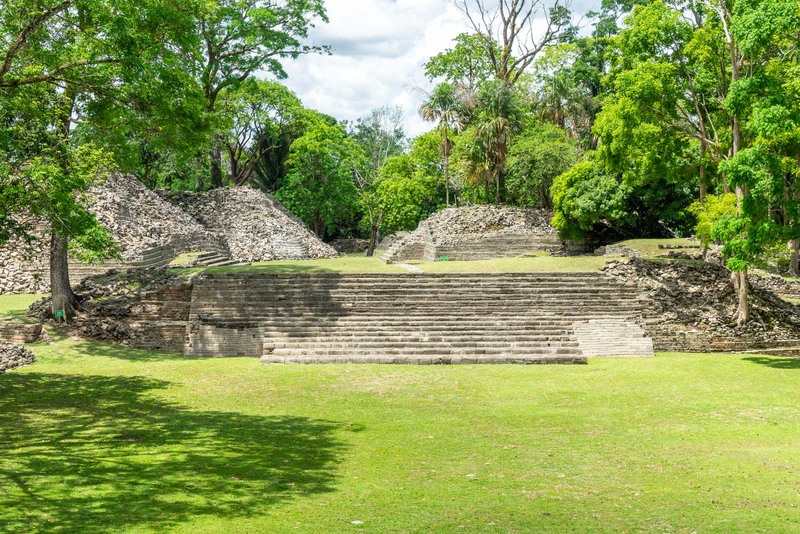 Maya people lived at Lubaantun for only a couple of centuries from about 700 – 900 AD before abandoning it. 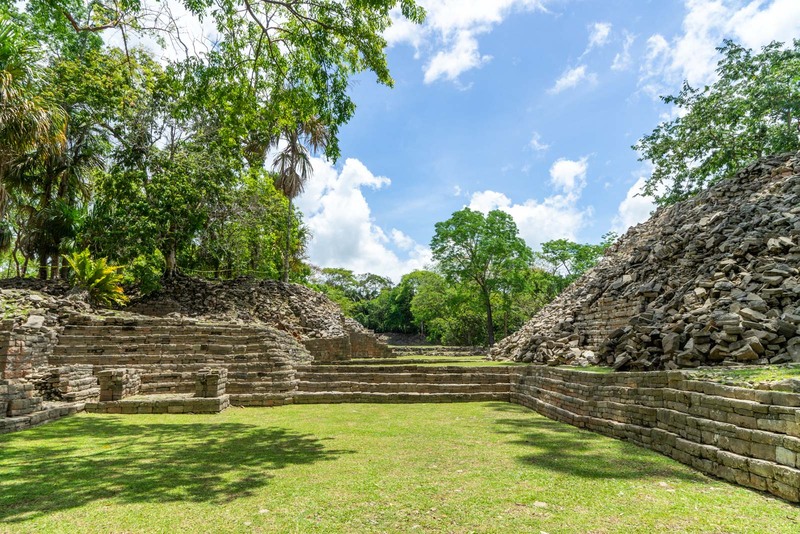 The structures they built here were large pyramids and other grand edifices with stone blocks on top of each other other without any mortar in between. My guide points to the top of one pyramid and explains that it’s where they probably would have done human sacrifices. I try to imagine what this city would have looked like during one of those rituals. One of the other prominent places in the site is where the court would have been for a ceremonial ballgame. The rules, as they are explained to me, seem quite complicated. What I take away is that the loser of the game was usually put to death. This wasn’t a recreational sport – this was a way of resolving disputes or proving dominance. It’s harder to know for sure what other part of Lubaantun were used for exactly. There is clearly a system to the urban design here, with parts of the city elevated on platforms where the rulers would have lived. There are also obviously public squares where crowds would have been addressed. 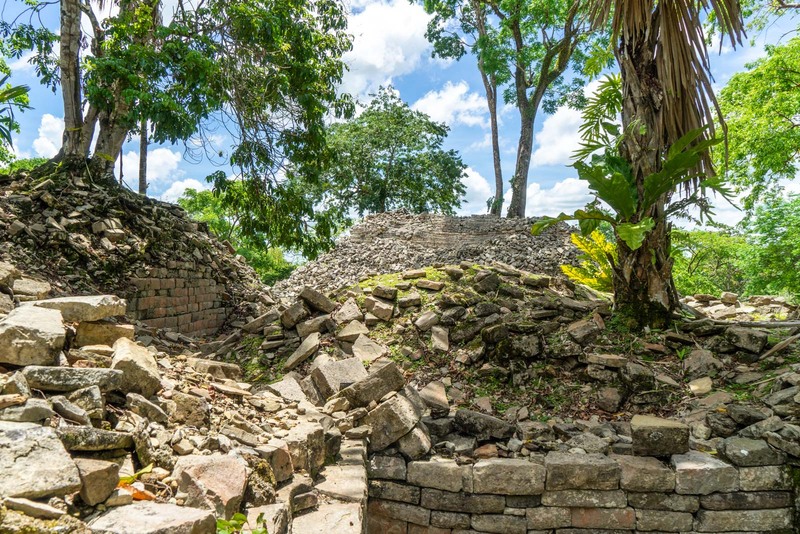 But much of it is guesswork – for instance, that it was probably a city that was famous for making ceramics and production of cacao. And it was probably the capital of the surrounding region. 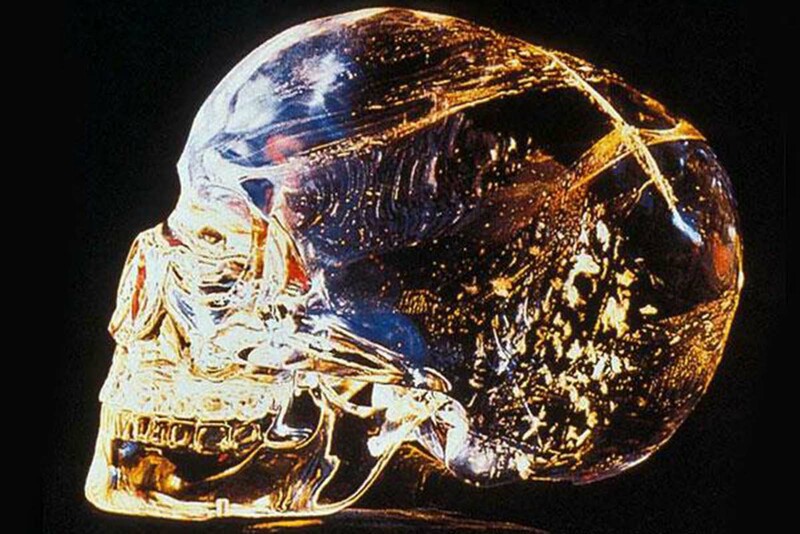 With so much unknown, you can see why a legend like that of the crystal skull would take hold. And, even though investigations seem to have debunked that story, who is to say there aren’t more mysteries to discover? As I travel through Belize, outside of the main tourist hubs, that’s one of the things I realise. There is a lot here to still be explored, more history to find, more mysteries to be solved… or not solved. Time Travel Turtle was supported by Travel Belize but the opinions, over-written descriptions and bad jokes are his own. Such an awesome article you write up! Incredible pictures you capture in your travel trip. Nice experiences.. Thank you so much for sharing this post! Lovely destination. I’ve also switched to a healthier lifestyle and training with SportMe running app and travelling a lot. Finding new running routes where I travel is fascinating. What a wonderful destination you explore!! You captured fantastic pictures in your travel trip. Thank you!